"My God, its full of coins." In this researcher's mind, the addendum to Hardouin Vindicated clinches the supposition that Hardouin and Nietzsche (Fred to his friends) knew the philological inconsistencies regarding the writings of the Church Fathers and the Roman Church. As always, Fred remains ignorant or silent regarding the Orthodox Church. This reticence can possibly be explained by his time consuming obsession criticizing Luther and the Western Church coupled with his unending praise of the ancient Romans and ancient Greeks. The competent philologist knows the ancient citizens of Constantinople referred to themselves as Romans, to the consternation of Modern Historians. It is possible that Fred's praise of the ancient Romans and Greeks is praise of the eastern church's life affirming practices when contrasted to Romes' next world obsession. Of course, when Fred writes "Latins" instead of Romans, he is referring to the Italians. It is unfortunate that this researcher is not competent in Greek to verify with philological examples of the dialect or dialects of both the Gospels and the writings of the Church Fathers. However, I have every expectation that this evidence will be forthcoming. We find little fault that Hardioun did not further pursue his thesis of universal forgery. However, we acknowledge that times during his life were not conducive to write that the councils (except for Trent) are forgeries, the writings of the Church Fathers are forgeries and the Roman Church was behind these frauds in the 17th century. "Two outa three ain't bad..."
Hardouin does give inquisitive youths and tenacious researchers enough hints to become co-conspirators to his ideas. Ah, esoteric writing at its finest... We understand Hardouin's support of the Roman Church, the Latin Vulgate Bible and the authority of the Papacy as "pious frauds" that insure his writing can continue to be read. The above drawing of the 17th century depicts the bell towers and the dome clearly shows the nautical windows. 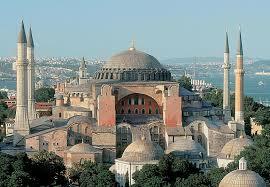 However, the coin does not show the dome as it today, that is, with the nautical windows. We also note that there is a smaller domed structure in front of the church that is not present in the drawing or existing today. 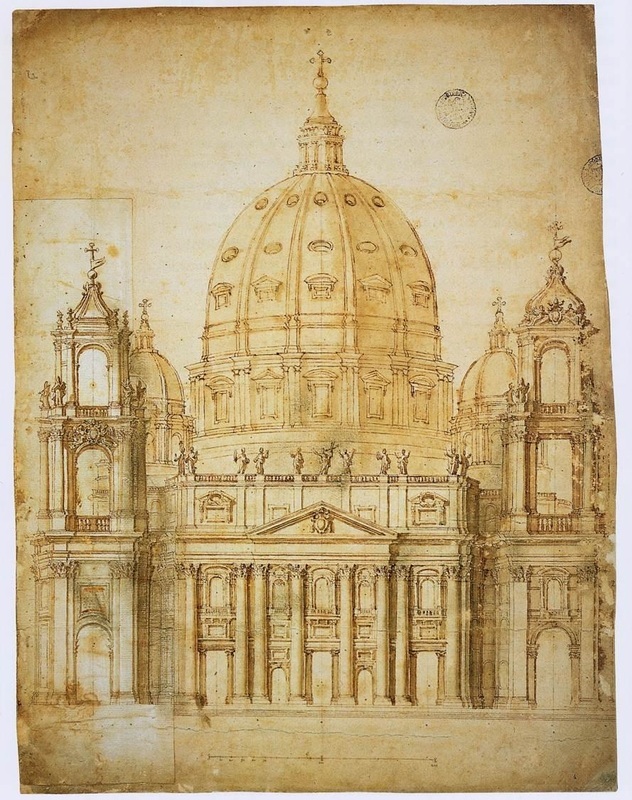 The drawing and the modern image of Saint Peter's are in agreement, overall and in detail, the removed bell towers excepted. 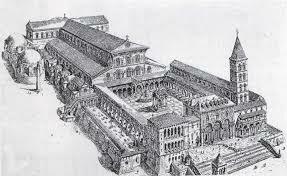 As Apprentice Tyler correctly realized the depiction can not be the "New" Saint Peters. Could it be a depiction of "Old" Saint Peter's? Again, Apprentice Tyler notes that "Old" Saint Peter's did not have a dome, so the coin can not be a depiction of "Old" Saint Peter's. 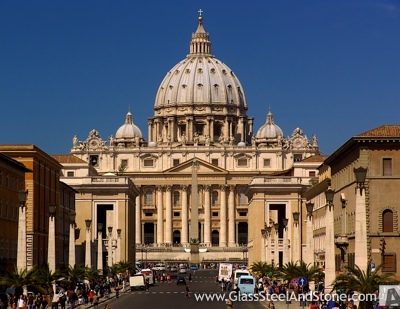 Therefore, we are left in an unenviable situation of stating that either the coin depicting the "New" Saint Peter's is a forgery or that the depiction is the "New" Saint Peter's, but this Saint Peter's is not to be found in Italian Rome.